Dubai, United Arab Emirates, 27 January 2019: The excitement of the Dubai Shopping Festival continues at Dubai Festival City Mall with the introduction of a special shopping extravaganza, Shop the Night Away, taking place for one night only, on January 30th 2019. Running exclusively at Dubai Festival City Mall from 6 pm until midnight, shoppers will be able to discover specially curated looks of clothes and accessories, receive free styling advice by fashion editors across selected stores and enjoy even more deals, discounts, samples and gifts. 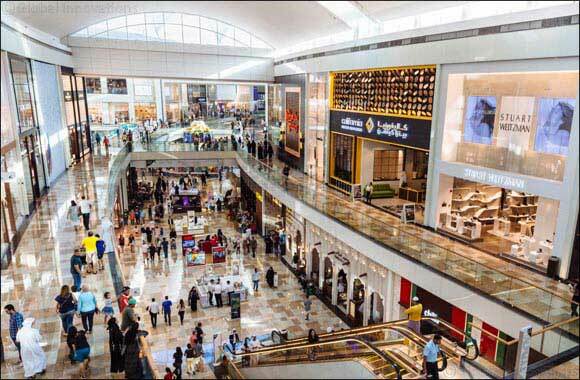 Over 70 retailers and restaurants at Dubai Festival City Mall will offer additional DSF deals and promotions for Shop the Night Away. Ranging from increased discounts, buy one get one free deals and bundle offers, consumers will enjoy plenty of shopping surprises. And don’t forget, as part of the Dubai Shopping Festival celebrations at Dubai Festival City Mall, there is still one more Lexus UX 200 to be won. Double your chances of winning by purchasing the Dubai Festival City Mall Gift Card.